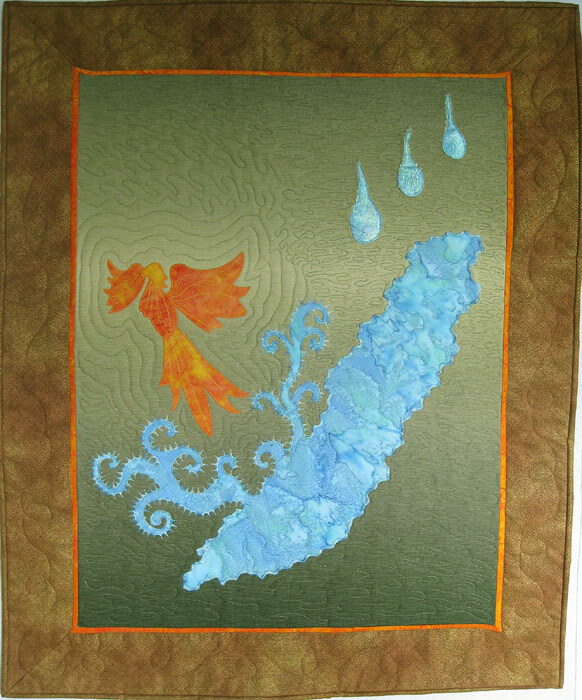 Appliqué art quilt using embellishment and decorative stitching on cotton fabric. When Ted Kennedy died in August 2009, it marked the passing of the last of the three brothers, John, Bob, and Ted, whose lives had shaped my own. As I watched and listened to the eulogies following Ted’s passing, the image for this piece flashed in my mind. 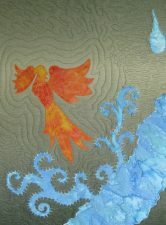 The tears shed with the loss of these three men collect in a pond and from its depth rises the mythological phoenix carrying forth with their dreams for social justice for all.